Roger Bannister died last week. Even if you don’t recognize his name, you’re aware of his legacy: he was the first human to run a mile in under 4 minutes. It was a mind-blowing feat. Ever since the Ancient Greeks set their sights on attaining this “perfect” goal 3,000 years ago, no runner on the planet had been able to run that fast for that long. For millennia of sport, breaking the 4-minute barrier was widely regarded as physically impossible. But Bannister, a busy medical student at the time with often only 30 minutes available to train per day, had an unorthodox view — one rooted in skepticism of the conventional training techniques and mindset. He began with the assumption that the 4-minute mile was possible, and then challenged himself to develop a science-based regimen for attaining it. During a brief lull on the otherwise blustery day of May 6, 1954, Roger Bannister made history by completing the mile-run in 3 minutes 59.4 seconds. The impossible had been achieved. But what ensued next was equally momentous. 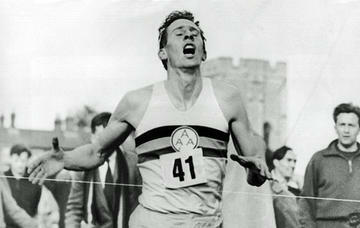 Just a month after Bannister first broke the 4-minute barrier, both he and another runner (John Landry) broke it again. The next year, 3 more runners (all in the same race) followed suit. By the end of 1957, a total of 16 runners had achieved sub-4-minute mile times. How could so many people suddenly overcome a challenge that had thwarted the best runners in the world for three millennia? The transition was so immediate and abrupt that it can’t be attributed to advancements in technology, training or diet. Yet somethingchanged that enabled this new era for speed. Prior to Bannister’s shocking feat, elite runners just didn’t believe it was possible to run that fast. But once freed from that limiting mindset, those very same athletes found that not only could they match Bannister’s record, they could beat it. More than simply breaking a record, Roger Bannister’s greater legacy was proving to the world that limits are largely set by the mind. When we fail (or more accurately put, fail to try hard enough), it’s often because we believe we can’t succeed. Bannister’s example showed us that by changing our mindset — by being open-minded to success — we can change our universe of potential outcomes. The ‘impossible’ becomes possible. Each refused to accept conventionally-defined limits as true. Each started with the belief that success was possible, and that they just needed to find the right path to unlock it. Today’s world bombards us with dire headlines and intractable issues that can easily make us feel defeated and powerless. Rather than being retired by the march of progress, in many ways it feels like the limits on our future are multiplying. Declining opportunity for the 99%, cartel-style rackets controlling much of industry, and an accelerating wealth gap between the elites and the rest of society define our economic situation. Our political system prioritizes fear, divisiveness and war mongering — getting precious little accomplished save a continued chipping away at our civil liberties. Social discord is growing in response. Meanwhile, we’re despoiling the natural systems we depend on. The past few decades have seen more mass species die-offs, pollution, climatic shifts, and chronic health epidemics than ever before. Our insatiable exploitation of resources and prioritization of quick profits have become existential threats. Given the above, it’s understandable to feel hopeless; that we’re all simply screwed. But as Bannister, Hilary, Turing et al have showed us, we have much more control over our destiny than we realize. Even in the face of nation-wide, even planetary, issues like those listed above, we have agency to change our situation for the better. Looking to improve your health and longevity? Learn how nutrition, functional exercise, sleep hygene and stress management are key success ingredients. How can humans grow (more) food by regenerating rather than depleting our soils? No-till farming practices are enabling just that. How can you become better valued and more supported by those around you? Here are a number of community-building steps that work. Want to protect and grow your money? Read this. How can you remain positive, and even thrive, in the face of adversity? By using these psychological strategies. These are but a few examples of the very real pathways available to each of us to build better futures for ourselves. But to benefit from them, we need to first start with the belief that a better future is indeed possible for us. If we do, then it becomes simply a math formula. With enough courage, discipline, and hard work, almost any goal is attainable within time. And make no mistake, the world is in dire need of self-directed saviors. Too much of the population is mindlessly marching along to the status quo, blind to its dangers and unsustainability. Think of our situation as if humanity were all together in a giant canoe and nearly everybody is paddling as hard as they can. After all, we’re trying to get somewhere: to improve ourselves, to grow our economy and increase our prosperity. There are goals to be met! Along the way we’ve convinced ourselves that this canoe is the best one ever built and it cannot fail us. It is the very pinnacle of achievement. It looks great, and there are creature comforts and pleasant distractions galore. Food has never been more abundant or easier to obtain, new gadgets keep showing up, and (in theory, at least) you can determine for yourself where you want to sit in the canoe. The people in the front love being there, as they feel powerful and in control. Ironically, though, it’s the few people in the stern who are actually secretly and rather effortlessly steering, but nobody in the rest of the canoe seems to notice or care. There’s only one thing wrong with this canoe. It’s headed for a gigantic waterfall, and if it tips over the lip, very few will survive. It will be like going over Niagara Falls without a barrel. A few in the canoe have woken up and noticed this. But their protests are limited to either pulling their paddles out of the water and refusing to propel the canoe any faster, or even trying to futilely paddle backwards against the rest of humanity’s combined efforts. Neither approach is a solution, mind you. But at least for these ‘awake’ souls, it feels better than paddling mindlessly towards the roaring falls. As it stand today, humanity’s canoe is destined to speed right over the edge. Unless we consciously do something about it. Which we could, if we really wanted to. As there’s nothing preventing us from steering the canoe safely to land, I find this one of the most interesting and fascinating times to be alive. We are currently playing the role of our own destroyer, but the savior role is still there for the choosing. But what stops us? What keeps us paddling furiously ahead even as the sound of the roaring falls gets louder and louder? The answer is at once both very simple and devilishly hard. To save ourselves from ourselves, we have to begin doing things very, very differently. Truthfully, the only way we can save ourselves is to shift our consciousness. Chris’ follow-on report, How To Be, reveals the elements of psychology, neuroscience, behavioral economics and human culture that lie at the root of our self-limiting behavior, yet also hold the keys to our salvation. It explains why to start living differently, we first need to start thinking differently. 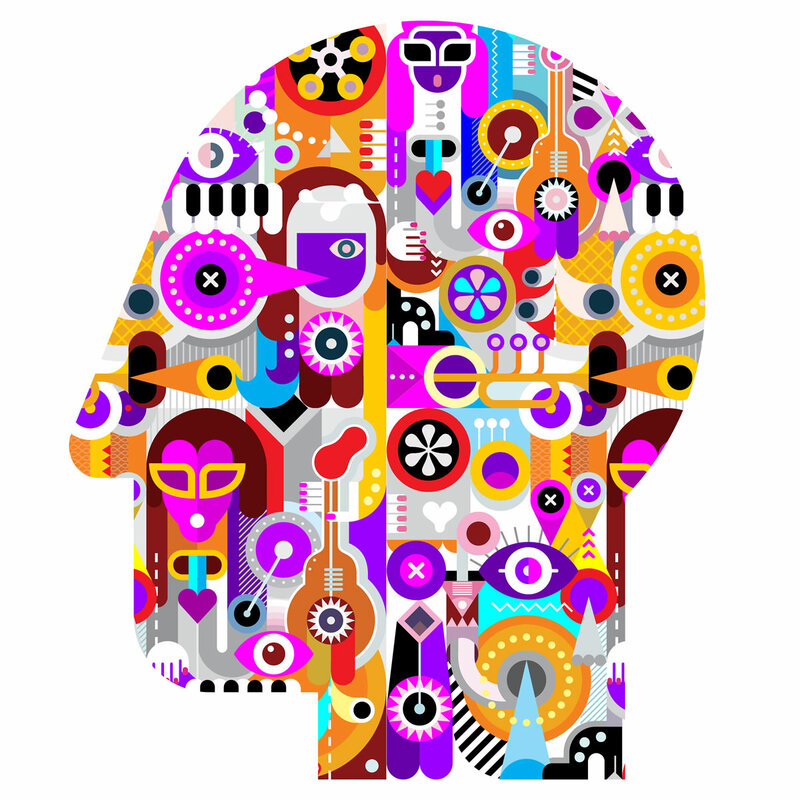 There’s an emerging huge body of work here that goes deeply into the ‘Being’ and Emotional Capital areas of our ongoing efforts to help people live with greater resilience. We’re talking about real inner change here. If you want things to be different on the outside in your life, the only certain way to go about doing that is to change things on the inside first.